With an array of poignant poetry written by well-loved authors available, selecting funeral poems for mom may be a difficult undertaking. 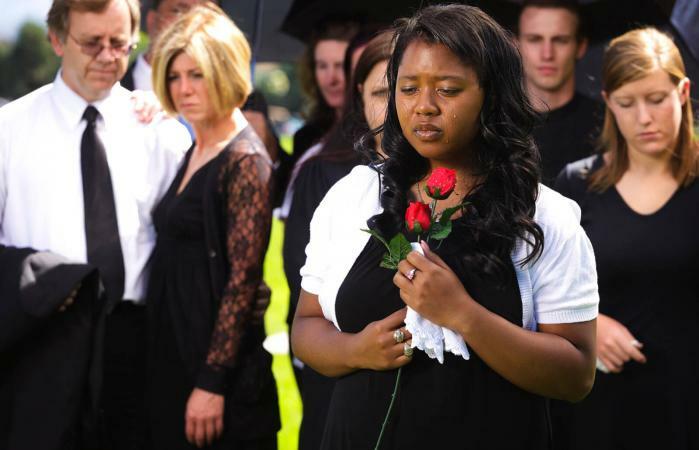 The right poem can help you put into words the grief and strong emotions you're experiencing. Though nobody can truly describe what it feels like to lose a mother, the following original poems by LoveToKnow author Tamsen Butler may express some of the feelings with which you are dealing. All the poems are original, written by Tamsen Butler. As my mom, who is now high above. I hold you in my heart as you fly free. 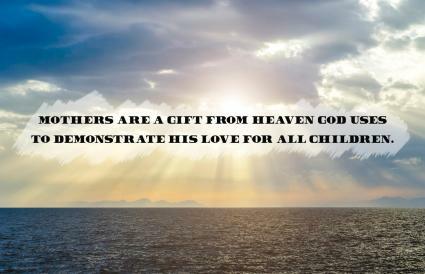 Mothers are a gift from heaven God uses to demonstrate his love for all children. But take solace in the fact that you'll meet again someday. Radiance has now moved on. Consider your mother's favorite authors and survey their works. If these authors are not poets, read some of their material anyway and get a sense of her taste in literature, whether simple or profound. This might help you select the theme of poetry that would best suit her tastes. Consider your own feelings and fond memories of your mother. 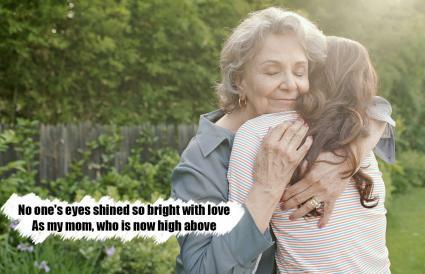 You may opt for a poem that describes your feelings for your mother or touches on memories you shared with your mother. Don't discount poetry that is upbeat or unemotional if it reminds you of good times. Perhaps the most well-known Psalm about death, Psalm 23 reminds the reader to fear no evil though they walk through the valley of the shadow of death. It's a reminder that those in Heaven have eternal life. Psalm 91 stresses the refuge offered by God; angels will be commanded in His people's protection. No harm will overtake you. The glory of God is the main theme of Psalm 19. The decrees of the Lord are "more precious than gold" and "sweeter than honey." 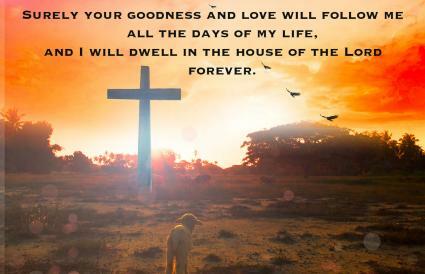 Psalm 27 is a reminder that dwelling in the house of the Lord is the ultimate reward for living a Godly life. 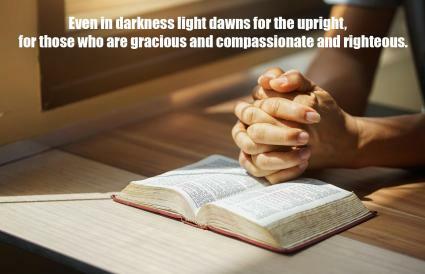 Psalm 112 praises the righteous while warning the wicked against their ways - righteousness endures forever. These psalms have a poetic quality and may serve as a representation of the faith of your mother. They are also a comfort to those who hear them and will surely be well-received by family and friends. Jot down your foremost thoughts and feelings without regard for spelling or grammar; you can sharpen your writing later. Include words that remind you of your mother. Discuss things you will miss about your mother, whether they relate to her appearance (her smile or facial expressions) the way she lived (her contagious laughter and sincerity), or things she did (planted tulips in the yard or baked bread on Sunday afternoons). Consider writing a poem or letter to your mother, rather than about her. Tell her some of the things that you may have neglected saying in the past or would consider saying to her regarding the future. Enlist the help of other friends or family members and compose your work together. The process of organizing your thoughts and putting them on paper is cathartic for many individuals, and even if you decide not to share what you have written, you may be refreshed by the practice. Poetry is a practical way to honor your mother and impart your deepest passions to others. Whether you write your own funeral poems for mom, compose a poem with someone else or select a meaningful ode by a famous author, your poem will be perfect if it communicates your affections for your mother.